Phosphates are going to be one of the biggest battles we have with a reef aquarium. The BRS GFO works even better in reactors due to it being denser than most other GFO. The price is just about double of standard GFO however you only need to use half as much which equals out in the long run. High Capacity is going to have less dust than almost all other GFO on the market and being able to buy it in bulk saves a ton of money. 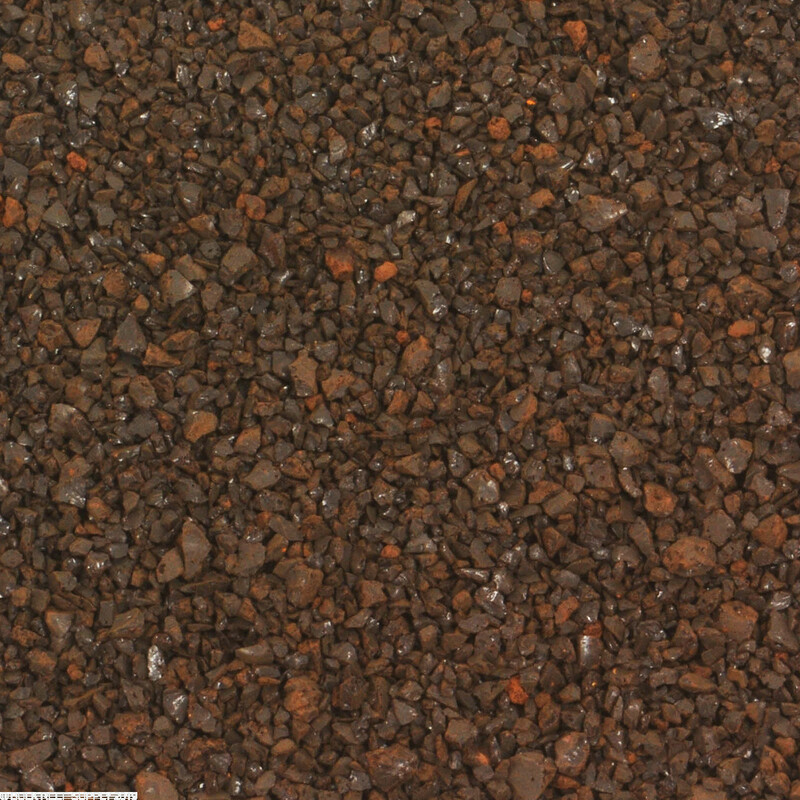 High Capacity GFO is twice as dense as Granular GFO, so twice as much material will fit into a reactor. It's extremely hard and has less dust to begin with. Fewer fines will be created during use and transportation. 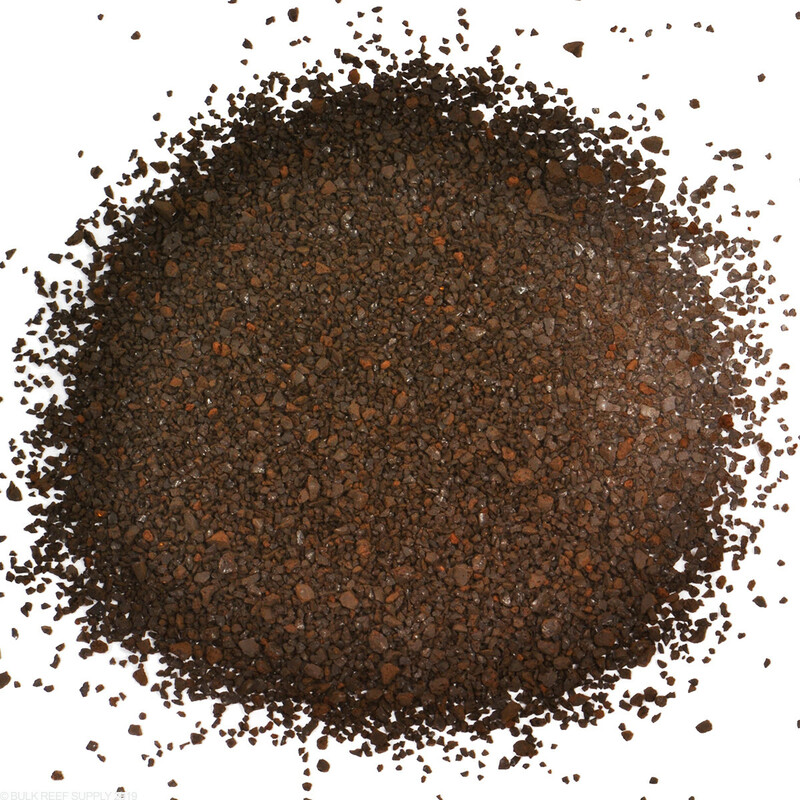 By volume, High Capacity GFO will remove roughly twice the phosphate compared to the same volume of Granular GFO. Best overall performance. Note: All Bulk GFO is packaged by volume. Does what it's advertised to do....keep phosphates down. More expensive but seems to work about twice as long with less residue. Been using this product for about a year in a BRS dual reactor (w/carbon). Excellent at reducing PO4 in my reef tank. Better than the competition. I switched to the high capacity a couple of months ago and it works way better then the standard. After switching I don't even know why they carry the standard GFO. The price works out to be about the same since you are using about 1/2 the media. Aside from far less dust, the biggest benefit that I see is running my flow rate higher. So more water passes through the reactor and it no longer clogs up. Before I was adjusting the reactor a couple of days. Wish I would have started with this product years ago. USE WITH CAUTION! This product works and works very well. Unfortunately it worked a little to well for me and stripped enough nutrients out of my tank that my sps corals started to bleach. By the time I figured out what was going on it was to late for the majority of them. I used the recommended amount for my tank based on the BRSF calculator. After a lot of research I found many other stories like mine. 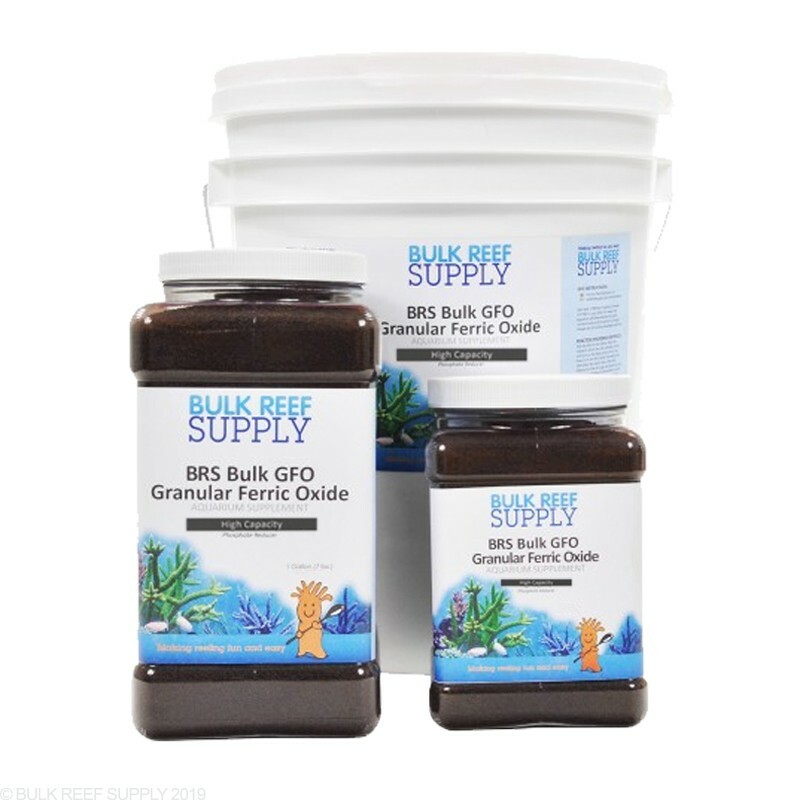 If you use this product in reef tank you should introduce it slowly. Gave this product 4 stars mostly because there is no warning on the potential problem it can pose to a reef tank. The product itself is 5 star and works very well. I had a phosphate reading of 5. Two days after starting the reactor it read .2 and the day after that barely 0. It may be zero now but it's been a few days since I've checked. Happy with the results. It was faster than I thought it would be. This works pretty well and rinses clean very easily. Definitely ordering again. I was using phosguard for a month a all my corals was doing fine, so I decided to try out gfo since they have very high review,only use half the recommend doses and after a week all my zoas react weird and some of them melted. 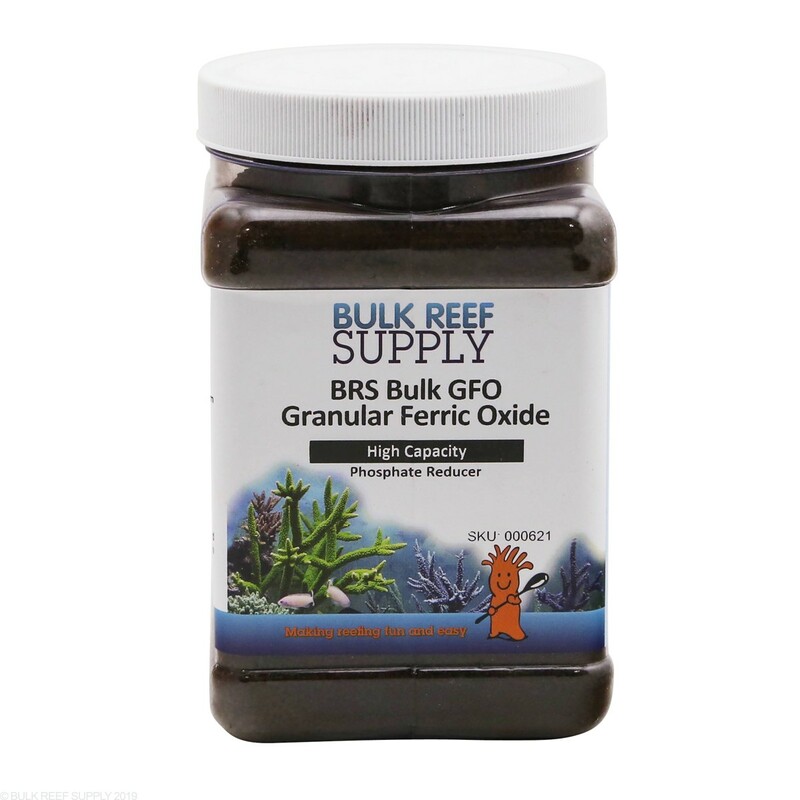 I use this GFO on a BRS reactor with Carbon and it reduced my Phosphates to 0. When I get any reading (0.01 or more on my Hanna), I change the media an it immediately goes back to 0. Excellent product. Will this product leach phos back in the tank? It will not release back phosphates under aquarium conditions. How much do u start out with in your reactor? Is there a measurement per gallon ratio? It depends on how large your tank is. The easiest way to do the math is to use our reef calculator at the link below. You enter the size of the tank and the type of GFO you want to use, it will tell you how much GFO to add. 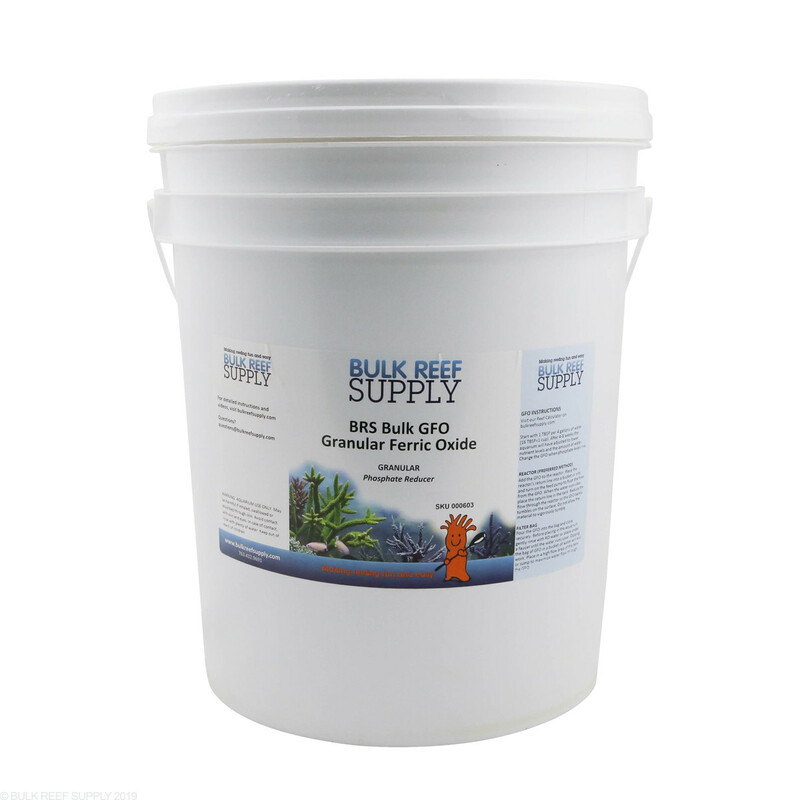 What is the amount of GFO HC you would normally run in a 120 gallon reef? Can the HC GFO tumble more than the standard, higher flow? I am also using the filter pads on the top to help keep the particles in better. Your thoughts would be great. The GFO HC is a denser/harder product which means it can handle more flow without breaking down (though at the same flow, its tumbling characteristics would be about the same). If you are trying to increase flow you could also remove the sponge pads in the reactor when using GFO. Will this work in a phosban 150? It sure will. Its a great combo if you need something that is hang on back! I been reading a lot about over dosing GFO and removing ALL phosphate thus starving corals. Is that an issue one should be concerned with when using this product? Thanks for getting in touch with us in regards to having too low of phosphate to allow for healthy corals. 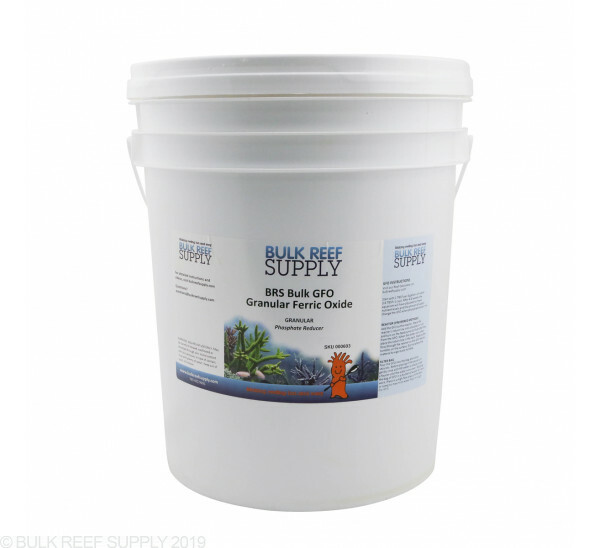 If you are using this and are not supplementing in amino acids/ target feeding, there is a change of corals bleaching and dying off slowly due to low availability of nutrients that they need. Please let me know if there is anything else that we can assist with. Thanks! Hello Folks, In my red Sea reefer 350, 91 gal total, I'll assume 80 gal or less total water, but based on a phone call to you folks, I purchased the 5" mini reactor and run about 1/2 cup ROX 0.8 and 1/2 High Cap GFO. My problem is, I'm wasting GFO it seems. The recommendation for the carbon is to change every 2 weeks, but the recommendation on the GFO is every 4 to 8 weeks. These don't match up well at all and I'm throwing away the High Cap GFO too early. Any better options ? I'm running one canister due to sump size limitations. Should I switch one of the two products ? thanks. That's a great question! What we have found to work well for us is to cut the amount of gfo down based upon your change frequency. For example, if you change your carbon every two weeks, and would normally change your gfo every 4 weeks, just use half as much gfo as the calculator recommends and this will bring the gfo capacity more in line with your carbon schedule and avoid wasting extra media. I'm a little confused about the notion of "how much to use." Since we are not adding anything to the tank water per se, what difference does it make how much we put into the reactor? Why not just put whatever amount we like into the reactor and then monitor phosphate levels to determine when to replace? Why do we need to calculate anything? Guess I have the same question for Carbon. Since the goal with phosphates is to stick around the 0.02ppm mark, loading a cartridge up with GFO will actually strip out all the phosphates to the point where your corals will starve. 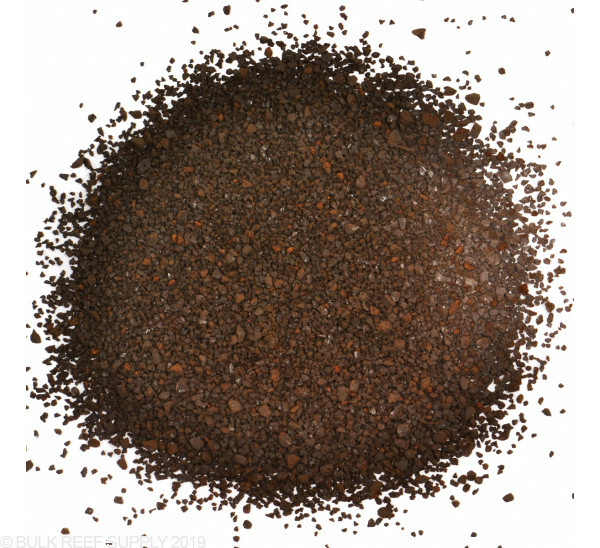 We suggest using the proper amount to help limit the amount of phosphate removed to the amount of food and other additives that you add keeping your tank in the sweet spot. Carbon is a bit different since it is the porous structure that is trapping molecules and other unwanted toxins odors etc. Over usage of carbon necessarily cause issues with nutrient levels but it will become clogged and is not efficient in the long run. There are also other studies that suggest overuse of carbon may cause HLLE in tangs and other fish. Do you need to rinse the GFO HC? It is a good idea to rinse GFO quickly with tank water to wash off any small dust. Feel free to let us know if you have any further questions! Will this product also remove silicates? GFO will help to remove silicates from the water slightly. 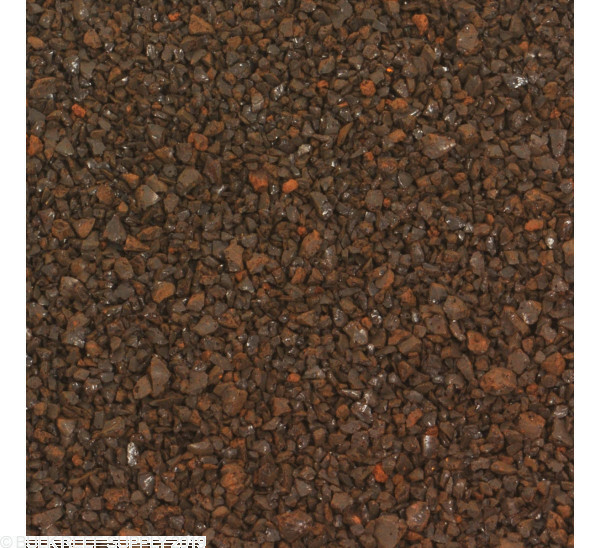 It sole purpose however is for phosphate removal. Overall you will use our aquarium calculator to find the correct amount between 2.5 cups for regular GFO and 1.25 cups for High Capacity. With this said you can use a single reactor for High Capacity and a larger reactor would be needed for the regular GFO. Feel free to let us know if you have any further questions! How often does this need to be replaced? 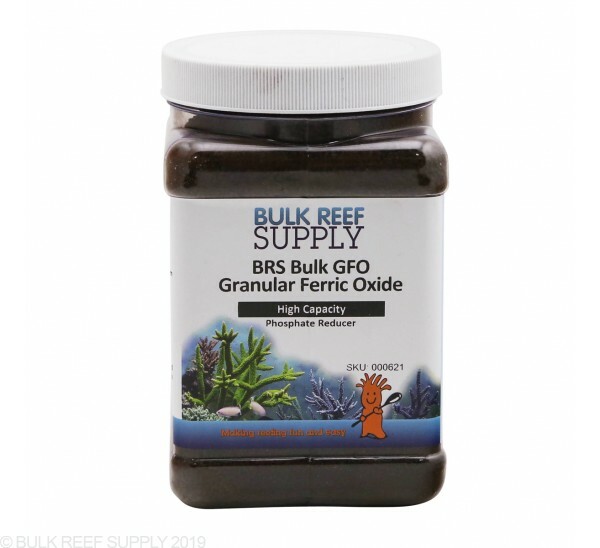 How long can this GFO be stored in its container, before being used in the aquarium, once opened? 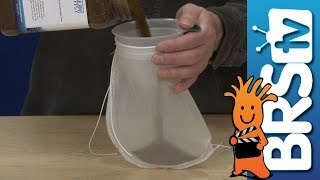 How many cups are there in the 1/2 Gallon (3.5 lbs.) of HC GFO? There will be 8 cups in a half gallon container. Does the high capacity GFO have to be tumbled in a reactor or could I place it in a media bag and put it in a high flow area of my sump? It is best when tumbled in a fluidized bed reactor as the media otherwise has a tendency to harden into a brick, but even placed in a filter sock would be better then nothing. Can I use the high capacity in a small tank (30 gallon)? There isn't any minimum size limit to the high capacity gfo. It can be used in any aquarium it just happens to be more popular in larger tanks because you don't need as much media. Its handy when your trying to keep the equipment smaller while still maintaining the same effect.